Though the three attacks in Belgium's capital city were carried out via bombing, questions about the strictness of Belgium's gun laws are surfacing after a new update. Belgian public broadcaster VRT reported on Tuesday that Belgian police suspect the airport attacker was carrying a Kalashnikov assault rifle; authorities found the gun next to his body. Though Belgium's gun laws are much stricter than those of the United States, the illegal possession of guns is rapidly becoming a major issue. Following the November 2015 Paris attacks, which were carried out with assault rifles, Time magazine's Naina Bajekal and Vivienne Walt investigated how these guns were coming into Europe illegally. A Finnish police officer named Pensala said that the Molenbeek neighborhood of Brussels has become known as “The Great Bazaar of Kalashs" (as in Kalashnikovs). For Molenbeek, the neighborhood where Paris attackers Salah Abdeslam and Abdelhamid Abaaoud sought refuge from authorities, the illegal possession of guns is not a new problem. Kalashnikovs in particular have a relatively long lifespan, making it possible to refurbish inactive ones by simply buying individual parts on the black market. However, online purchases weren't always necessary. The Balkan wars of the 1990s resulted in a huge concentration of firearms that are frequently smuggled into Western Europe, BBC reported. This has led to a high concentration of undocumented guns in the small nation. Until 2006, Belgium had surprisingly lax gun control laws. After a man shot two innocent people, however, the nation become increasingly concerned with the illegal flow of firearms. The 2006 legislation requires gun permits to be renewed more frequently and sought to prevent the impulsive purchase of guns by requiring prospective gun owners to go through a three-month process which includes an extensive police screening. 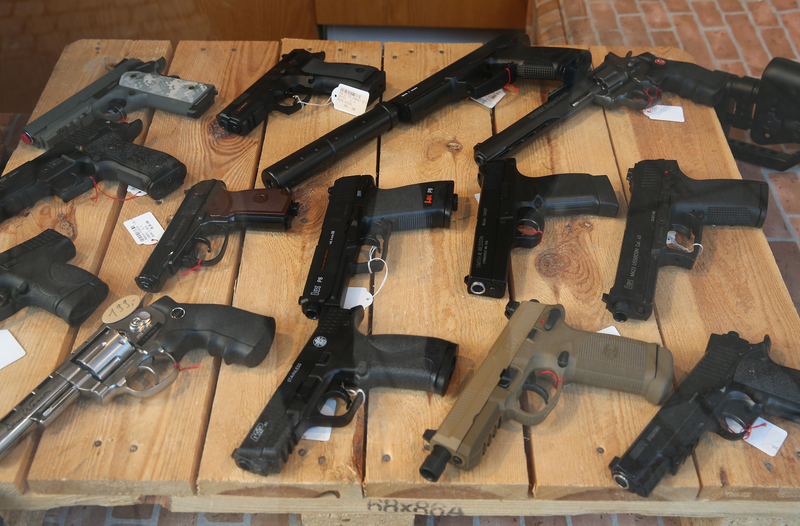 Six years later, in 2012, the European Union passed regulation aimed at interrupting the transportation of guns across borders by requiring exporters to obtain a special license. Today in Belgium, it's not easy to own any type of gun, unless it's a rifle or shotgun. The nation prohibits the private possession of fully automatic weapons, and permits ownership of semi-automatic weapons only in certain case scenarios. Furthermore, the private possession of handguns is only allowed after obtaining special permission from the government. In the country, long guns, such as rifles and shot guns, are the only guns not prohibited by the state. According to GunPolicy.org, these regulations categorize Belgium as a country that has "restrictive" gun control laws. In fact, the Kalashnikov found next to the attacker's body could have never legally been owned in the country. Even so, the Belgian government will have to consider the ways these illegal weapons continue to find themselves in the hands of violent people.